"We manufacture for customers with very demanding and exacting standards among these Ocean Spray, Coca Cola, Unilever, Cadbury Schweppes, Tesco and SuperValu, and we found HACCPweb.com to be particularly suitable for the fast moving industry we operate in. It's an excellent solution!" Both NACMCF (National Advisory Committee on Microbiological Criteria for Food) and Codex Alimentarius have defined what constitutes HACCP training. The HACCPweb course is designed in accordance with their HACCP training guidelines. Use our online HACCP plan software to create your own HACCP plan. The HACCP plan software takes you through the principles of HACCP. For many organizations, compliance with HACCP is difficult, expensive and awkward. For others, it is as easy as HACCPweb.com. 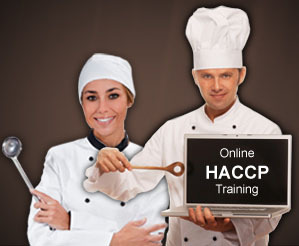 Set up an account with HACCPweb and take the HACCP course, modify HACCP procedures and create your HACCP plan. Check out our customized Google search facility for researching food hazards. The search engine has been customized to provide more focused information on food related hazards.